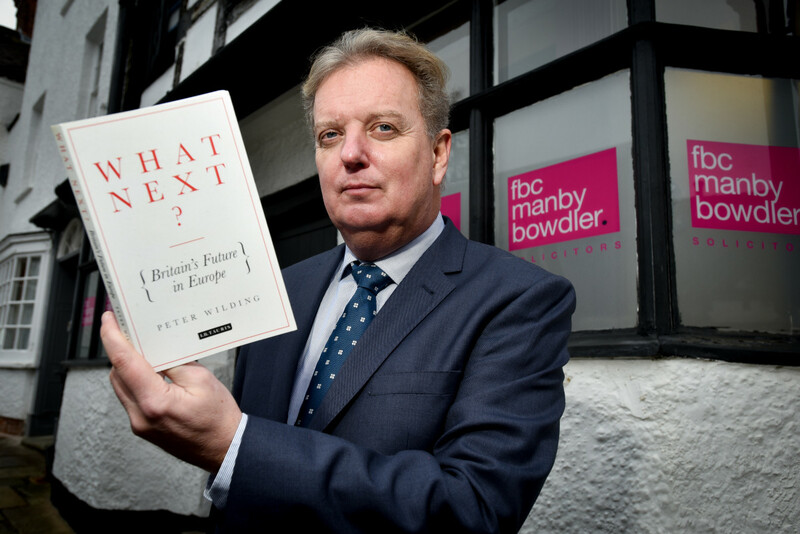 The man who first coined the term ‘Brexit’ has joined law firm FBC Manby Bowdler to offer businesses expert advice on the UK’s withdrawal from the EU. Peter Wilding – a corporate lawyer specialising in EU law and former EU media and policy director for the Conservative Party – has joined the firm as its Brexit adviser. Mr Wilding, who lives in Church Stretton, is officially credited by the Oxford English Dictionary with first coining the term in May 2012 – eight months before the then Prime Minister David Cameron announced plans for a referendum on the issue. He will now use his expert knowledge to advise clients across multiple sectors on the implications of Brexit to them and their businesses. FBC Manby Bowlder Managing Partner Kim Carr said Mr Wilding’s appointment came as the practice was being inundated with queries from clients looking to find out more about how Brexit could affect their business – and advice on how they could combat the current uncertainty. “We are receiving inquiries on a daily basis from clients, particularly in the manufacturing, agriculture and leisure and hospitality sectors, who have a huge number of questions they want answering concerning Brexit. Mr Wilding has spent 25 years working in European affairs and is the founder of the Influence Group which advises UK businesses on European policy. He first used the word Brexit in a blog post reacting to the possibility of a Greek exit from the EU. He has practised in London, Brussels, Gibraltar and the Channel Islands and was appointed by Mr Cameron as media and policy director of the Conservative Party in the EU from 2005-2008. He is also a former director of the Brussels-based lobbying firm, Teneo Cabinet DN, and Europe director of BSkyB and author of the influential book What Next? Britain’s future in Europe.